Bland's family has reached a settlement in its wrongful death lawsuit against Waller County, several county employees and former Texas Department of Public Safety trooper Brian Encinia, who arrested Bland in a July 10, 2015 traffic stop that quickly became heated. Three days later, she was found dead in her Waller County Jail cell after being arrested for assaulting a public servant. Her death has been ruled a suicide, and raised questions about how the traffic stop itself and how local jails deal with mental health issues. Bland family attorney Cannon Lambert said all parties have agreed to terms including a $1.9 million payout to the family — $1.8 million from Waller County and $100,000 from DPS — and changes in jailing and law enforcement practices that could have statewide implications. Since her death, Bland's family, lawmakers, policy experts and activists have pushed for procedural changes in jails, and new laws that might lessen the chances of another death like hers. The next battles, they say, will come largely in the political and legislative arenas. When Bland was screened after entering the Waller County Jail, she reported having suicidal thoughts in the past, but said she was not feeling suicidal at the time of intake. Since then, lawmakers have scrutinized the screening process for new inmates and challenged Texas jails to route inmates with mental health issues toward treatment. 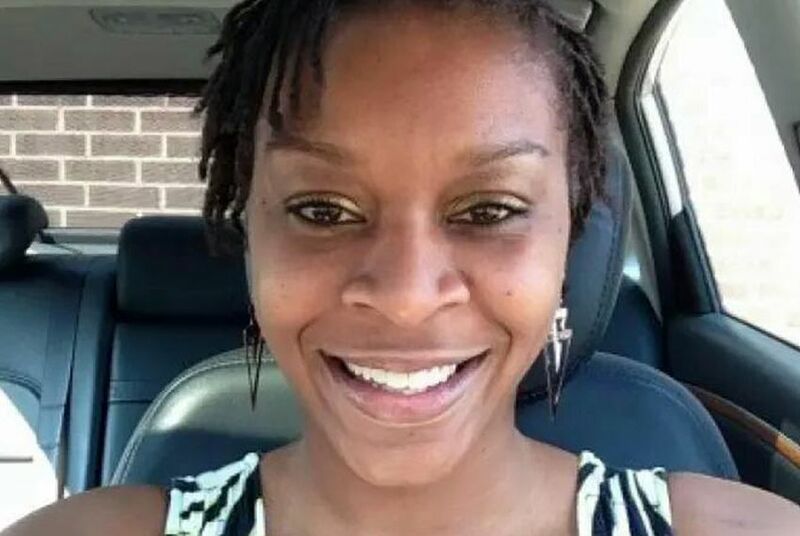 Legislation in Bland's honor is a term of the lawsuit settlement, and state Rep. Garnet Coleman, a Houston Democrat and chairman of the House County Affairs Committee, said he will introduce the Sandra Bland Act during the 2017 session. The bill will address protocols for dealing with mental health issues in the criminal justice system, look for ways to divert people to treatment over incarceration and emphasize police de-escalation. The traffic stop that led to Bland's arrest also raised questions about race and law enforcement. Bland shouldn't have been arrested, but it's commonplace for blacks to encounter law enforcement disproportionately, Coleman said. "It made no sense that this is still going on, in this time, in 2015, when that was commonplace when I was growing up," said Coleman, 55. "It's real important that we don't let someone's death go in vain." Hannah Bonner, an elder in the United Methodist Church who for months held a vigil in Bland's honor outside the Waller County Jail, said a major victory so far has been a raised awareness of jail conditions and the role race may play in policing. "For a lot of people, they are scared of getting a ticket," Bonner said. "Other people are afraid that they can lose their life." Growing up, Coleman said, most people in the generation before his were involved in civil rights activism. His generation, he said, has a sense that much has not changed, so they have a responsibility to continue that fight. "I'm the same age as Barack Obama. This is one of these things that is about our generation," Coleman said. "We never thought we were free. It's funny, but the generation after us does." Bland's arrest and death are signs that the struggle for equality among races continues, Coleman said. "It took protest to bring it to an end, to bring that discrimination to an end. And even then it didn't bring it to an end," he said. "So I think that with her death, it has heightened the sense that the world really hasn't really changed that much and that this requires the kind of protest that created changes in Jim Crow, along with the Voting Rights Act and the Civil Rights Act." Margaret Haule, founder of the Austin chapter of Black Lives Matter, said she respects the family's decision to settle, though the agreement doesn't contain an admission of wrongdoing. She hopes some details about the case aren't lost behind a confidentiality agreement. "That sometimes can make it harder for us to recover evidence of further practices of repeated abuse and abuse of power," she said. Haule said she would like to see more training and educational requirements for jail employees and better documentation of reported police misconduct. Waller County officials were either not available or would not comment publicly about the case after news of the lawsuit's settlement leaked. Larry Simmons, Waller County's attorney in the lawsuit, said in a statement the settlement has not been finalized. The Texas Attorney General's office declined to weigh in. Two legal procedures remain pending. In January, a Waller County grand jury indicted Encinia on a perjury charge, concluding there was evidence he lied about the circumstances under which Bland exited her car. After Encinia's indictment, DPS Director Steve McCraw began the process of firing Encinia. The former trooper is appealing that decision to the Texas Public Safety Commission. Sandra Bland's Family Settles Wrongful Death Lawsuit – The family of Sandra Bland — the woman who died last year in a Waller County Jail cell — has reached a settlement with Texas officials in a wrongful death lawsuit, a lawyer for the family said Thursday.